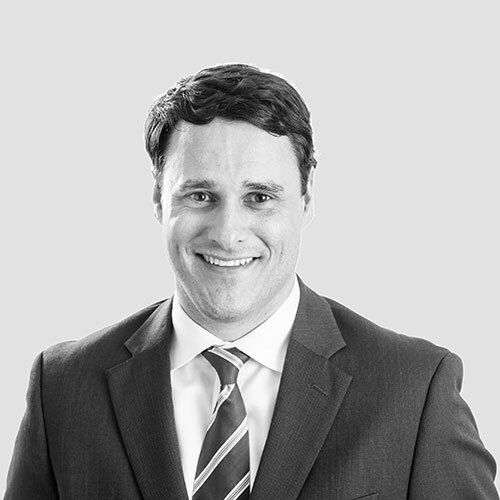 Daniel Hardy has a broad range of legal experience, having represented clients on a variety of litigation and transactional matters. Mr. Hardy specializes in construction law, representing designers, contractors, materials suppliers, and property owners in all types of disputes related to public and private construction projects, as well as advising clients in negotiating and drafting construction agreements and licensing matters. In addition to construction law, he has also represented clients on matters related to real estate, insurance coverage, business litigation, and business formation and dissolution. Mr. Hardy grew up in Syracuse, New York, where he developed a profound love for Syracuse University basketball and appreciation for California weather. He received his B.A. from Boston College and his law degree from New York University School of Law. While in law school, Mr. Hardy worked as a legal intern in the Asia Division of Human Rights Watch and a researcher for the NYU Center for Human Rights and Global Justice. Prior to law school, he worked for two years as a Jesuit Volunteer in Tacna, Peru at the Center for the Working Child, counseling children and families and assisting them to gain access to social services. Mr. Hardy is fluent in Spanish. Prior to joining Coombs & Dunlap, Mr. Hardy spent over five years working for a well-respected Napa law firm. Before that, he worked at a large international law firm in San Francisco representing corporate clients in complex civil litigation matters. Mr. Hardy lives in Napa with his wife, Alicia, and their three children. He enjoys spending his free time exploring the Valley with his family, reading fantasy novels, and playing ultimate frisbee.